Not sure if you are familiar with STAMPlorations? and a stamp shop all run by Shery Russ and her husband. This Month's Challenge is Stamps and Glitter! WOWZA. This is awesome! One of my favorite color combos! Happy 4th! This is SO cool, Kimberly. So happy to have you headlining at STAMPlorations. Beautiful! I love the colors, the butterflies, and the artistic look. Thanks for being our guest designer at STAMPlorations! So pretty! That bg is very cool. Welcome as our GD! 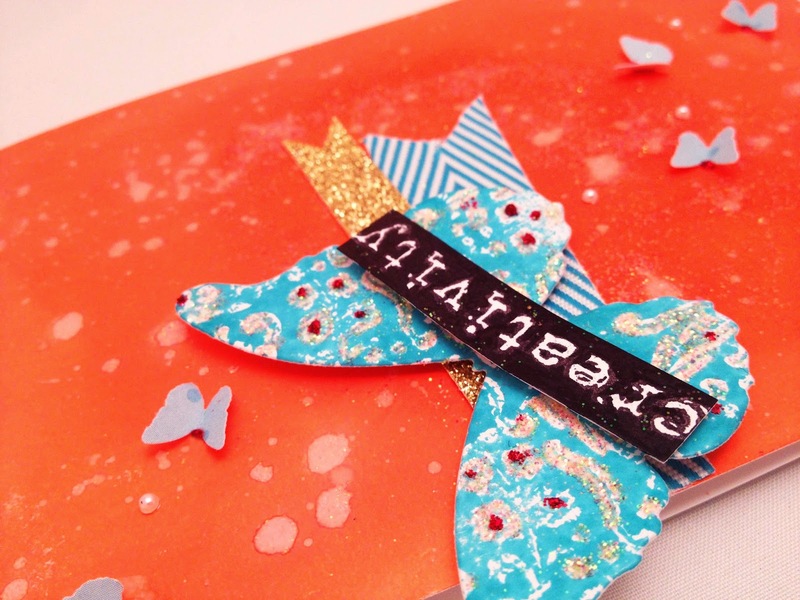 This is such a stunning card - beautiful, your bold orange background! So great to have you as a GDT! Kimberly, your card is stunning! 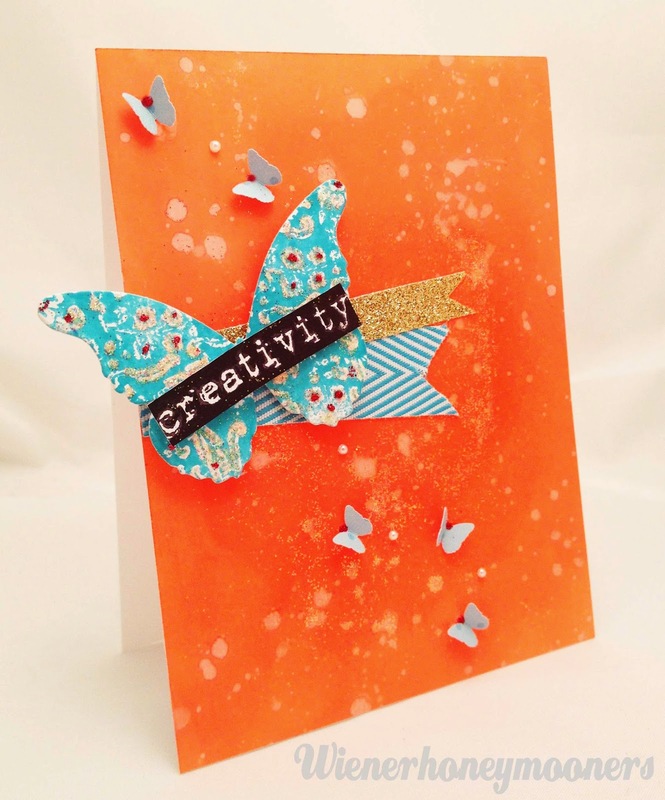 I love how you used the grunge floral stamp to create the background for your butterfly! Looks like patterned paper. Thanks so much for being our guest designer for July -- we're so happy to have you! FABULOUS colours Kimberley - LOVE it!!! Congratulations on ur Guest spot! U card is a rock star, love the orange and blue combo and the splashes of water ! Wow is that background beautiful - you know I love orange - why can't I get mine to look this good? Love the bit of gold under the butterfly too - so sunny and rich looking! so pretty...love how the bkg looks. You are so kind to always come over to my blog and leave me such great comments...thank so very much.